Food, water, cots, generators, & other federal emergency supplies were being rushed Tuesday from Hawaii & Guam to help Saipan after the Earth’s most powerful storm of 2015 — Super Typhoon Soudelor — blasted through the tiny U.S. island in the Western Pacific. The storm continued its violent march through the Pacific Ocean w/sustained winds of more than 160 mph & gusts approaching 200 mph — the equivalent of a Category 5 hurricane, the Joint Typhoon Warning Center said Tuesday. The typhoon was taking aim at Taiwan & China, though it’s expected to weaken to a Category 3 or 4 storm by then, the center said. 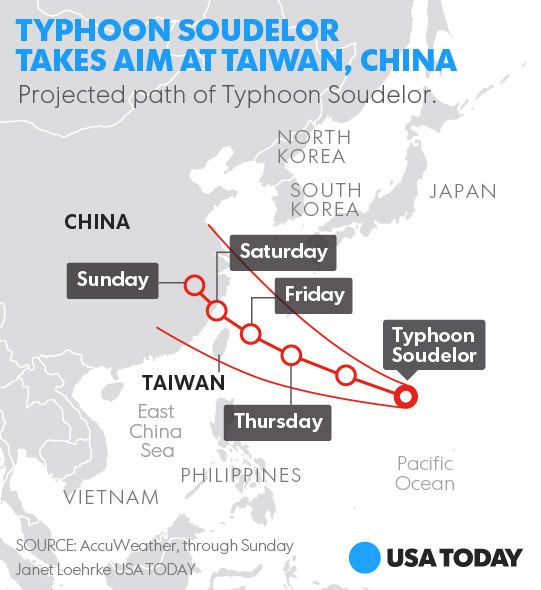 “There is growing concern that Taiwan & the southern Ryukyu Islands will have to contend w/Soudelor as early as Thursday night or Friday w/impacts lasting into early next week across eastern China,” said AccuWeather meteorologist Eric Leister. The storm slammed into Saipan, 1 of the Northern Mariana Islands, a 48,000-population U.S. commonwealth, Sunday & Monday. It flooded the island’s power plant, ripped off roofs & toppled power poles, the Pacific Daily News in Guam reported. 100s of Saipan residents are in shelters. Some roads remain impassable, & power & water service are out. No fatalities were reported, but least 10 people were treated at the government hospital for injuries, including wounds & deep cuts, from falling or flying debris. Acting Gov. Ralph D.L.G. Torres declared “a state of disaster & significant emergency” there on Monday. “Most power & phone lines are down w/no power or landline service to most of the island,” Philip Dauterman told the Pacific Daily News. He estimated that it could take months for power to be restored across the island. 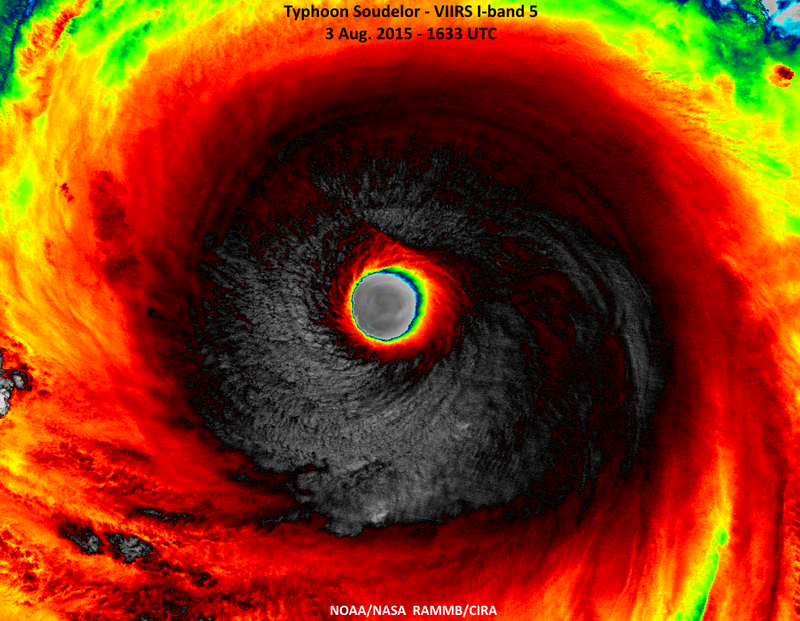 Soudelor (SOW-de-lore) is the strongest storm anywhere on the planet so far this year. 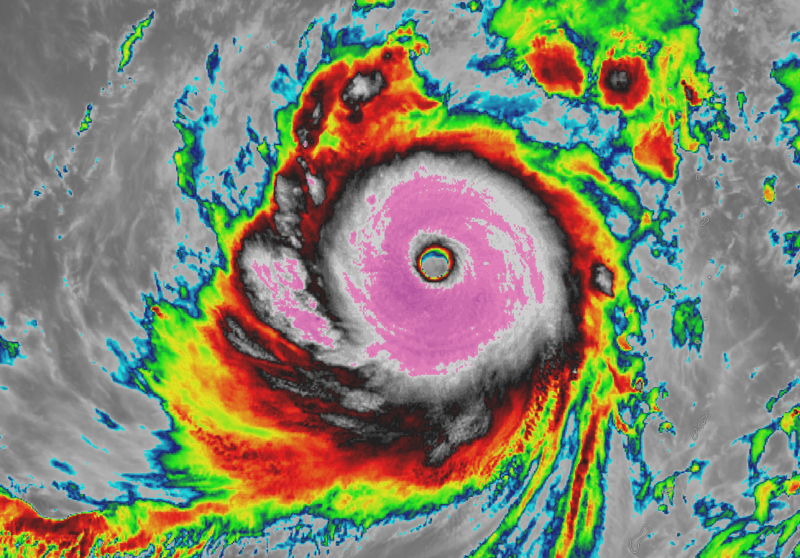 Typhoons are the Western Pacific’s version of hurricanes. Soudelor is a Pohnpeian word for a legendary chief or ruler, according to the National Weather Service. Pohnpeian is a language spoken on the island of Pohnpei in the Caroline Islands.